Dr. Murray has spent her career serving the medically underserved. She has worked in a variety of settings including practicing Occupational Medicine at a Workers Clinic in Canada, Residency Director for Occupational Medicine at Meharry Medical College, and Bureau Chief for the Chicago Department of Health under Mayor Harold Washington. Dr. Murray served as Medical Director of the federally funded health center, Winfield Moody, serving Cabrini Green Public Housing Project in Chicago. Dr. Murray has been an active member of a wide range of local and national organizations including serving as a member of the Board of Scientific Counselors for the Agency for Toxic Substances and Disease Registry (ATSDR), and the Board of Scientific Counselors for the National Institute of Occupational Safety and Health (NIOSH) and the Board of Directors of Trinity Health (a large Catholic Health system). She serves on the National Advisory Committee on Occupational Safety & Health (NACOSH). In 1997, Dr. Murray returned to the Cook County Health System where she served as Chief Medical Officer -Primary Care for the twenty-three primary care and community health centers comprising the Ambulatory & Community Health Network of the Cook County Bureau of Health Services. The Cook County Bureau of Health is one of the nation’s largest public system of medical care and operates three hospitals, the public health department for suburban Cook County, health services a County Jail and the network of health centers (ACHN) operated by the County. Today she serves as the Chief Medical Officer for the Cook County Department of Public Health of the Cook County Health & Hospital System, the state certified public health agency for suburban Cook County. 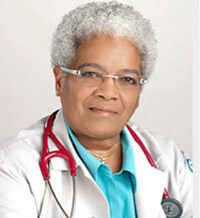 She practices as a general internist at Woodlawn Health Center, is an attending physician in the Division of Occupational and Environmental Medicine at Cook County Hospital and an adjunct Assistant Professor at the University of Illinois at Chicago School of Public Health (Occupational & Environmental Health and the Health Policy & Administration Departments). She plays a leadership role in many organizations including NACCHO’s (National Association of City & County Health Officers) Health Equity & Social Justice Team, the national executive board of American Public Health Association and serves on the board of the Chicago based Health and Medicine Policy Research Group. She remains passionate about increasing the number of Black and Latino health professionals and serves as the co-chair for the Urban Health Program Community Advisory Committee at the University of Illinois. In November 2010, Dr. Murray became President of the American Public Health Association. She has been a voice for social justice and health care as a basic human right for over forty years.